When a fire burns, ashes fall to the ground (form) and smoke ascends to the sky (emptiness). Firesmoke examines the relationship between form and emptiness and questions how fire can arise from both life and death. 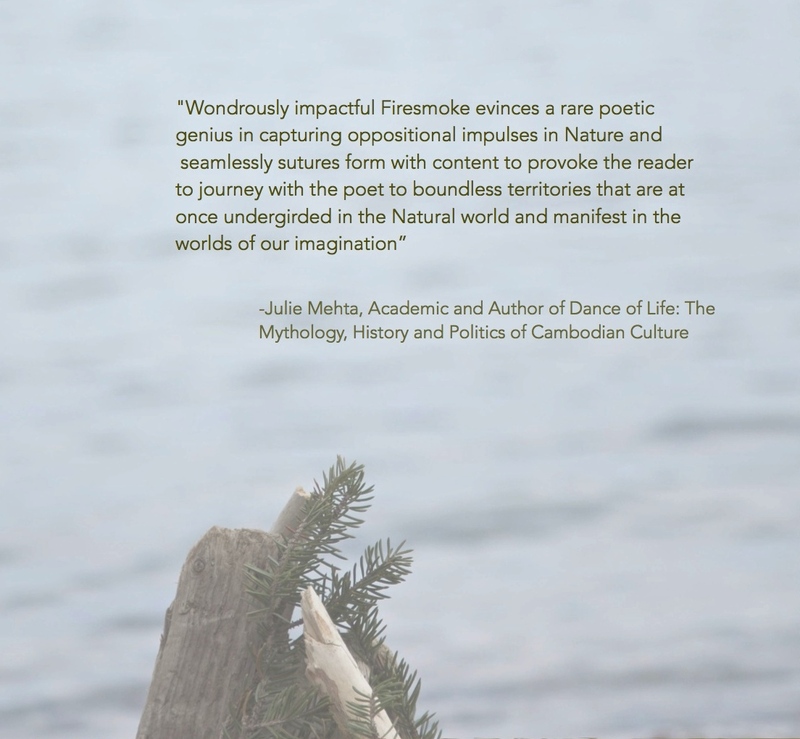 Firesmoke also explores the restorative power of the feminine principle, the alchemy of nature and the impermanence of life. 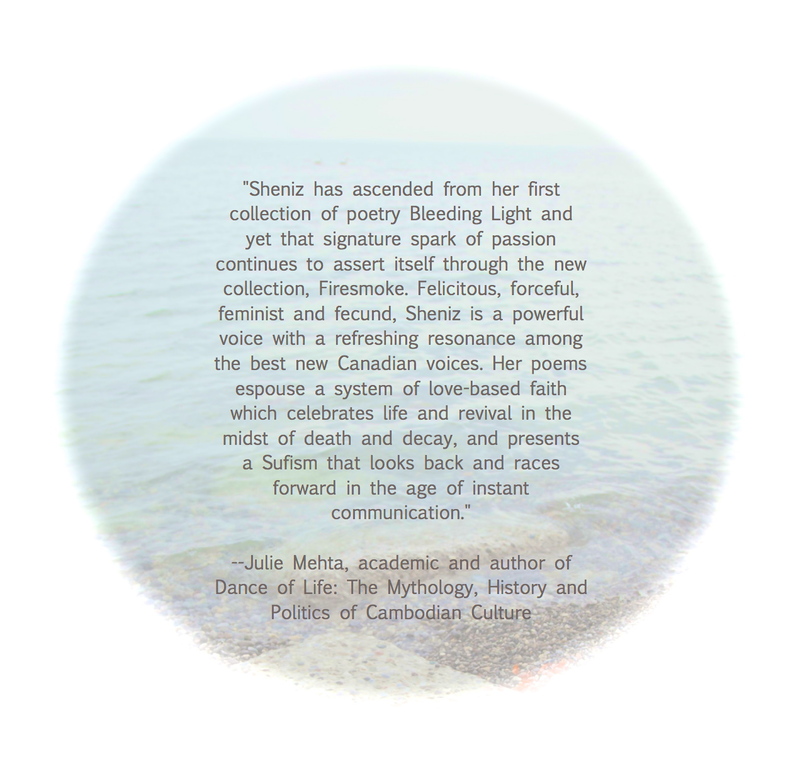 Each poem in Firesmoke is an offering to the four elements: earth, water, fire and air. They mimic the breath and death of a sacred fire, from its inception to its annihilation. The more structured poems & ghazals act as the kindling taken from the forest floor. As the kindling begins to burn and transform into smoke, the poems become less and less structured (free verse).